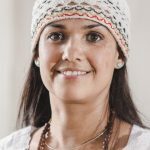 Soraya (Fateh Bir Kaur), B.A, RM, has been actively teaching Kundalini Yoga as taught by Yogi Bhajan since 2011 and has worked in the Yoga Community since 2002. A restorative and Vinyasa Teacher, Sound Journey and Gong Facilitator and Reiki Master, Fateh Bir studied different styles of yoga in Brazil, the US, England and Canada. She became involved with the Beyond Addiction program in 2012 and has been offering classes and workshops in Vancouver, Canada since then. She is especially interested in the physiological benefits of Yoga on neurotransmitter balance and brain function. Her passion and love for yoga and sound journey have benefitted many in her community.